After a wild and crazy 2012, I'm so thankful for new beginnings and a new year. I'm excited to look forward with hope to good things happening this year. I'm excited to start new adventures. And to make new goals. 1. I've been super sick the past 2 weeks and am just now coming back to life. And 2. I figure this way I've missed all the time when everyone usually sets their goals and then quits, so I'll be more apt to keep going. Right? Well, that's my story and I'm sticking to it. In setting my goals for 2013, I kept coming back to one phrase that summed up everything I wanted to accomplish this year. I heard a lesson given by a friend at church last year and to be honest, I don't remember all of what was said, or probably even most of what was said, but this phrase stuck with me. 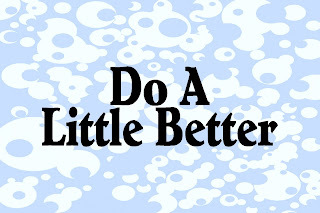 In the talk, she recited a quote by George Albert Smith where was telling us that every day we can do just a little bit better than we did yesterday. 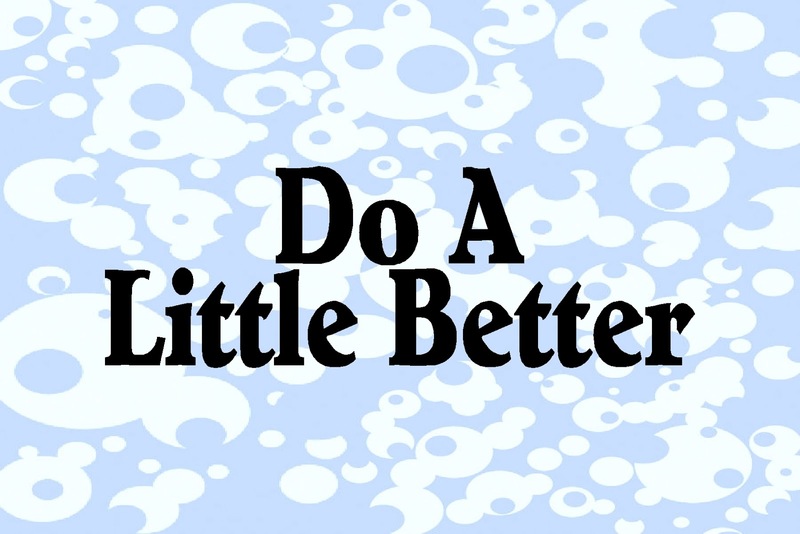 Sometimes we may not make big strides, but by small acts, every day can be just a little better. So this year, I'm going to be a Better Mom. It may not be a very concrete goal to you, but it's something that goes through my mind in every choice that I make. Last night, I was finally taking down the Christmas tree and cleaning up too many dirty dishes, when the Daredevil asked me to play a game with him. Looking around at all I needed to accomplish (since I was finally well enough to clean), this quote went through my head and I knew it was inspiration to be a better mom. So we loaded up the dishwasher together and sat down to a long game of Phase 10. It may not have been much, but it was a "little bit of Awesome" in my Mom Bucket. And with every choice, it makes me a little better.